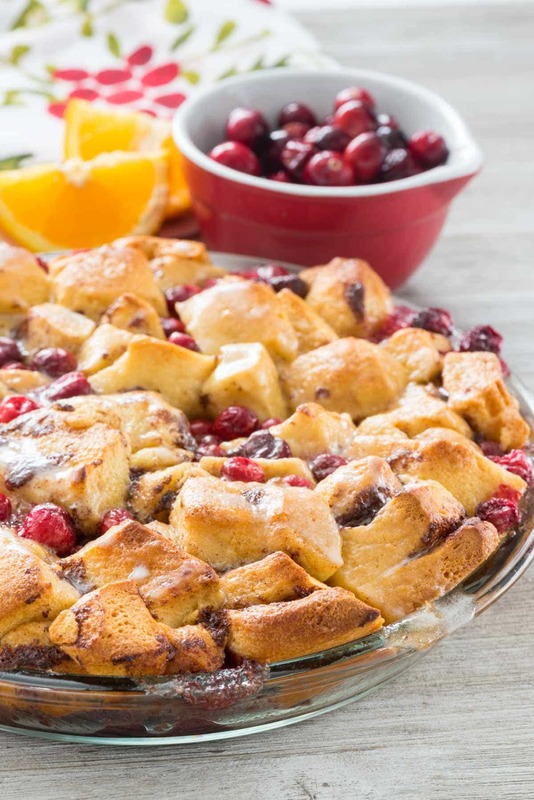 This easy Cranberry Cinnamon Roll Bake recipe is perfect for any holiday breakfast. 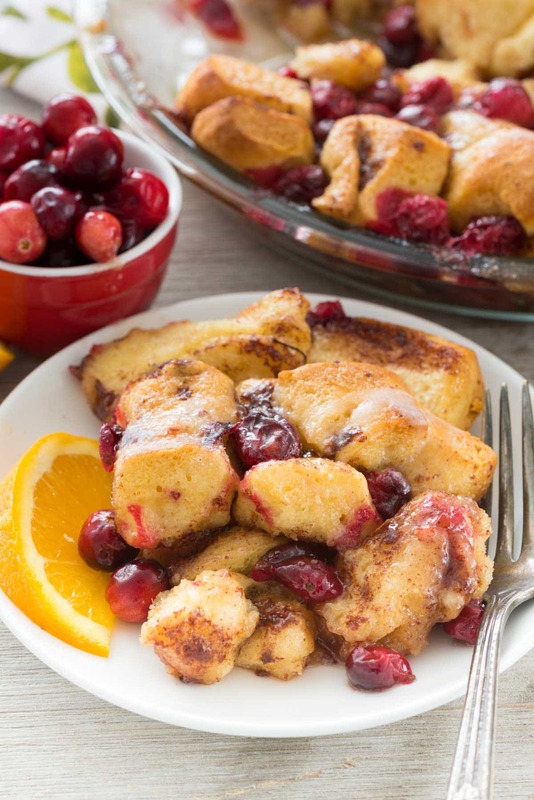 Cinnamon rolls are mixed with cranberries, coated with brown sugar, and drizzled with orange icing! How do you give back this time of year? Usually we donate to Toys for Tots or the local food bank. This year, we decided to do something a little different: we adopted a family. We’ve been thinking about doing that for a while, but I never managed to get myself together in time. This year it was meant to be: I was googling on Thanksgiving night and found a local church that has an assist-a-family program. The deadline was Thanksgiving so I got my application in just in time. The following week, I got an email telling me about the family who we were helping. It was a young couple with two little girls. In addition to a grocery gift card, we were supposed to get a clothing item for each person and a “toy” or wishlist item. It broke my heart when I read the wishlist for the two kids: both only asked for winter clothes. No dolls or toys or bikes: just warm clothes. I was so happy we were able to do that this year, and use it as a good example for Jordan. She asked if we could do it again next year and I told her I sure hoped we could! Have you started thinking about Christmas breakfast yet? Do you make it yourself, or do you do something easy? 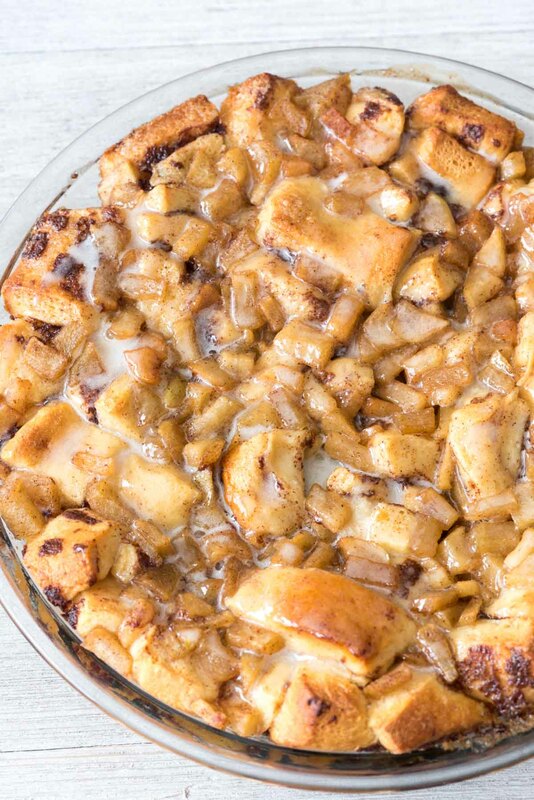 This Cranberry Cinnamon Roll Bake is kind of a combination of both: it’s a semi-homemade breakfast casserole that’s perfect for the holiday! 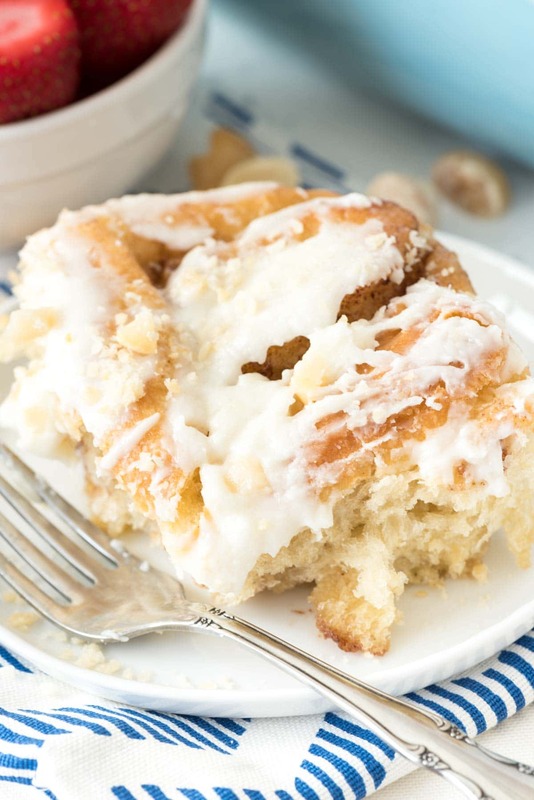 After I made my apple fritter cinnamon roll bake last month, I knew I had to recreate it (over and over). My first inclination was to make it blueberry, but then someone suggested cranberry. I’ve never baked with cranberries before (I KNOW, RIGHT?) so I asked Facebook what to make. Overwhelmingly, the answer was CRANBERRY! The recipes starts with Pillsbury Grands! 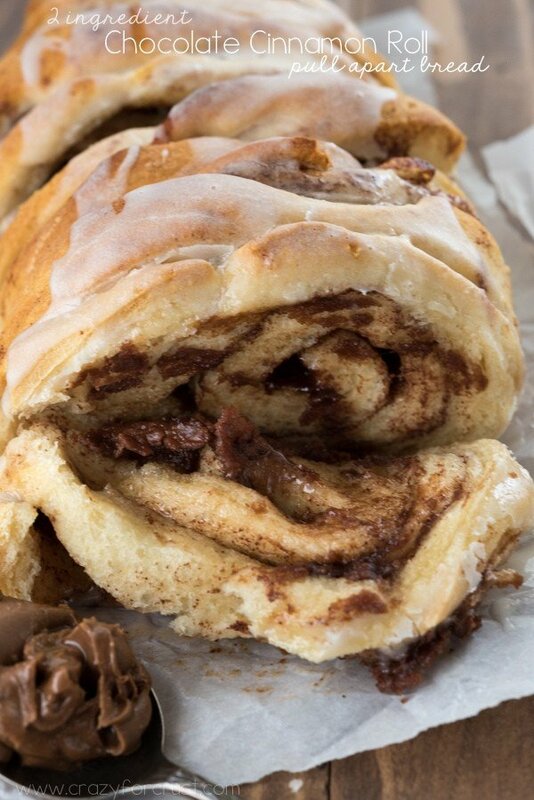 Cinnamon Rolls (the tube that has 5 jumbo rolls). You can use any brand you like, I just always gravitate towards them. Cut each roll into 6 pieces and layer them in the plate with the fresh cranberries. This recipe only uses 1 cup of fresh berries, which is perfect because I always have leftovers from centerpieces and cocktails. Basically, this is cranberry cinnamon roll bake is THE breakfast you need for Christmas…or the week after…or New Year’s…don’t you think? Preheat oven to 350°F. Spay a 9-10” pie plate with nonstick cooking spray. Open cinnamon rolls; reserve icing. Slice each roll into 6 pieces. They’ll fall apart; that’s okay. Layer cinnamon rolls with cranberries in prepared dish. Stir brown sugar and melted butter together until smooth. Pour evenly over the top of the cinnamon roll mixture. Bake for 30-34 minutes or until golden brown and cooked through. Stir orange juice into reserved icing and drizzle over the top. Serve warm. Store leftovers tightly covered for up to 3 days. Looks perfect. I love the contrast that cranberry offers to baked goods! This is such a perfect holiday breakfast! I know my family would fall in love with it! The whole family enjoyed these breakfast treats. I followed the recipe without changes. It was easy with chopped frozen cranberries in my food processor for the topping. My daughter and I have always done a “Angel tree” gifts, unfortunately always anonymous. I think it would be a good idea to have the families meet. Hey, love the cranberry baking ideas! I buy extra cranberry packages every Thanksgiving, and freeze some for future cranberry muffins. The cranberry tartness balances out the sweetness of the muffin batter. I can’t wait to make this ! So pretty! Plan to bake the cranberry cinnamon roll for my family for the holiday, hope it comes out as good as it looks here!!!!!!!! But because I’m in the tropics I’m gonna swap the cranberries for something tropical.